The best underground air show in the World! 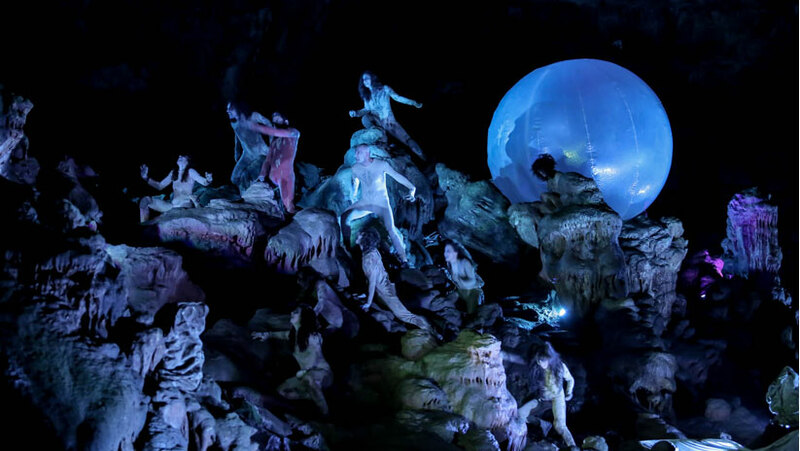 A multimedia production, with sounds, lights and dances, so, you will live an incredible adventure, inspired by the famous “Divina Commedia” of Dante. “Hell in the Cave” represents the hell 70 feet under, in the middle of the spectacular rock formations drew by nature during years. (approximately 90 million years).